My parents used to take me bowling when I was younger and I used to love it. I remember for my birthday, I think my 12th?, my Dad took me to get my own personal ball which I still have. I was very excited to take my daughter, she however was a little apprehensive. 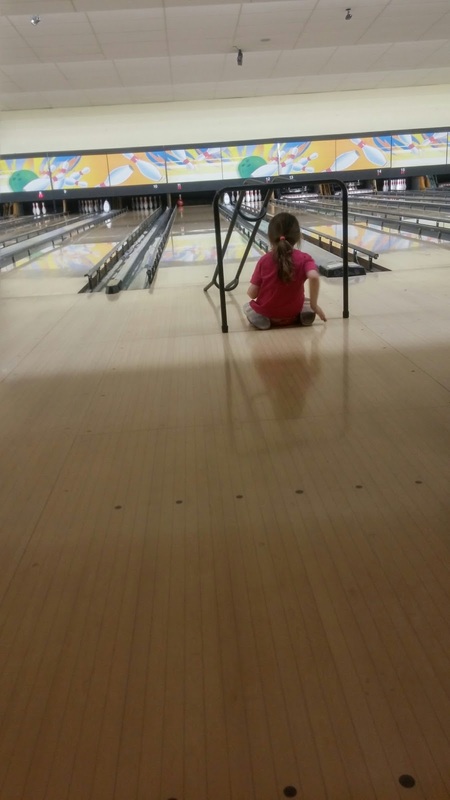 The bowling alley was dark and very noisy and she was a little scared. I knew that she would enjoy it so we just sat and watched until she was ready to play. 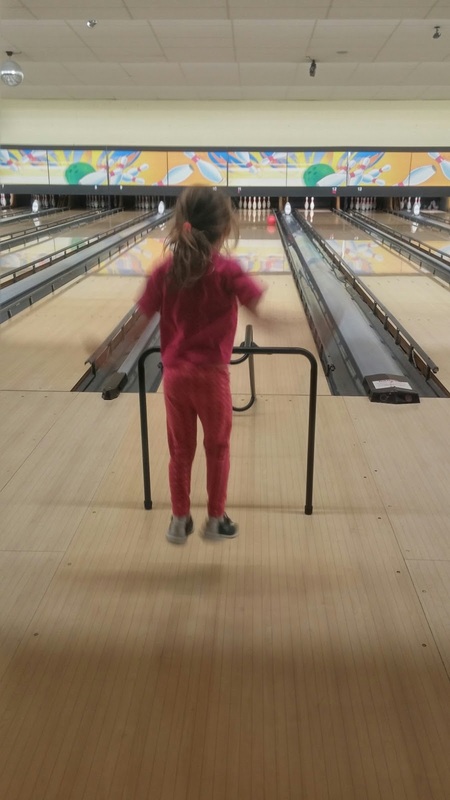 Her first ball and she got a strike, that was it she was hooked. 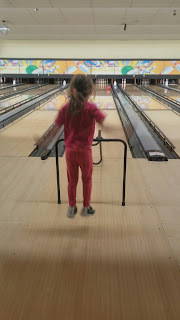 She would jump up and down with excitement as she bowled the balls, and whilst she sometimes used the ramp she also had a few goes at throwing the ball herself. She didn't want to stop and even did most of my turns for me. 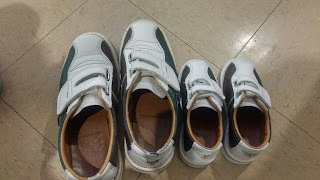 We bowled together and I let her lead, let her tell me when she wanted my help or if she wanted to bowl by herself. 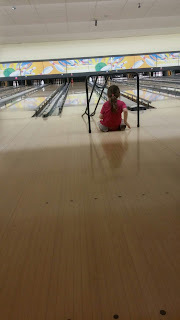 When she did bowl by herself I was more than happy to sit and watch her, I loved it when she would sit on the floor to watch the ball. 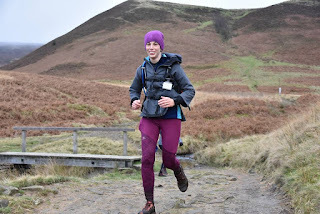 She has enjoyed it so much that she has asked to go bowling again next week!